It was only a matter of time before China replaced the US as the world's largest packaging market. According to Smithers Pira, packaging consumption in China is increasing by 5.5 percent annually. From $ 175.5 billion in 2015, the market will grow to $ 229.5 billion by 2020. By comparison, in the US, 2.8 percent annual growth and an increase from 165.5 billion to 190.2 billion US dollars are expected. The figures show the importance and potential of the Chinese packaging market. 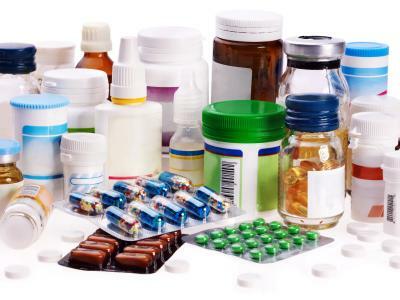 It is therefore important for suppliers of packaging solutions to be present in China. Last week, the Shanghai World of Packaging (swop) trade fair offered such an opportunity. From 7 – 10 November, 30,000 trade visitors flocked to the Shanghai New International Expo Centre where the swop with its four specialized events PacPro Asia, CHINA-PHARM, FoodPex and BulkPex took place. Among them: Twelve German medium-sized companies that presented themselves to the trade fair visitors under the label `Made in Germany´ at the German pavilion. 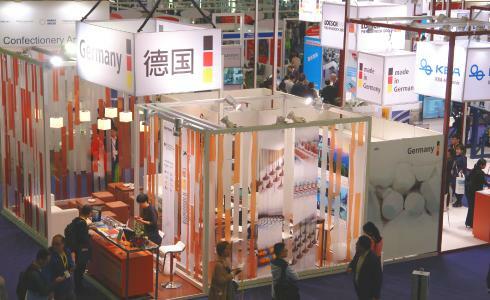 Organised by the VDMA Association for Printing and Paper Technology as well as Messe Düsseldorf as part of the official German Trade Fair Quality Abroad programme of the Federal Republic of Germany, the pavilion offered sixteen medium-sized companies the chance to present themselves at the swop in an attractive and efficient way. Moreover, without compromising on stand size, stand design and location: “For us, it was the right time and the ideal location – as a kick-off, so to speak, in order to enter the Chinese packaging market with our portfolio,” said Markus Weidle, Account Manager of Max Schlatterer GmbH & Co. KG from Herbrechtingen, enthusiastically. Christian Muhm, Key Account Manager of Siegsdorf-based NOWOFOL Kunststoffprodukte GmbH & Co. KG, also saw the pavilion as “the optimal platform“ for the first step into this important growth market. Other companies that have been active in China for longer also used the joint presentation at this trade fair: “The joint pavilion is a good platform in order to meet existing customers and to make new contacts,“ stated Carsten Reinhard, Area Sales Manager of D.W. RENZMANN Apparatebau GmbH from Monzingen an der Nahe. According to Area Sales Manager Marc Hammon, Hänsel Processing GmbH from Hannover, too, primarily wanted to show presence in Shanghai. Above all, since the swop was not only visited by professionals from China, but also from the surrounding growth markets. The more so since this trade fair, which was launched by Messe Düsseldorf and local partners in 2015, is the only supra-regional trade fair for machinery and technology for the production and finishing of packages, for packaging means as well as the associated auxiliary tools and raw materials . No matter whether the packaging is made of paper, cardboard, plastic foils, metal or glass. The demand in China is on the rise. On the one hand, because this country has a growing consumption-friendly middle class who appreciate products in high-quality packaging. On the other hand, because there are more and more single-person households with a demand for small packaging sizes and convenience products. With its four specialized trade fairs, the swop addresses both the demand for packaging solutions for food, beverages and pharmaceutical products and the demand for packaging means, packaging and transportation technology. Therefore, it is equally interesting for the suppliers of printing and paper technology, plastics and rubber machinery as well as packaging machines. 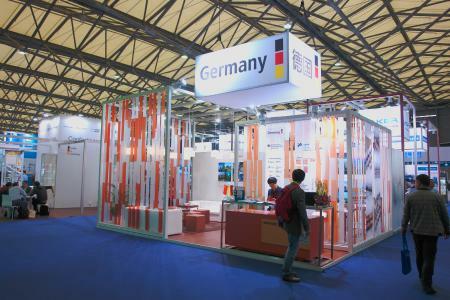 “China is the most important market for German technology manufacturers from the total packaging sector. At the swop, they present solutions ranging from packaging materials through to smart packaging,” said VDMA Project Leader Dr. Sven Breitung. “Great service, a good trade fair and excellent organisation,” was the fully satisfied conclusion drawn by Wilson Wu, representative of the companies Löschpack, Hansa Mixer, Hänsel Processing. 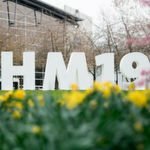 Likewise Jim Foote, Vice President Business Development of Michael Hörauf Maschinenfabrik GmbH & Co. KG, expressed high satisfaction by saying in his summary: “The swop 2017 went very well also thanks to the support provided by the VDMA and Messe Düsseldorf,” adding that this trade fair is one of the most important events in the growing Chinese market already now and that he therefore presumes that his company will expand its presence at the next swop in 2019.